Losing a baby is heartbreaking. 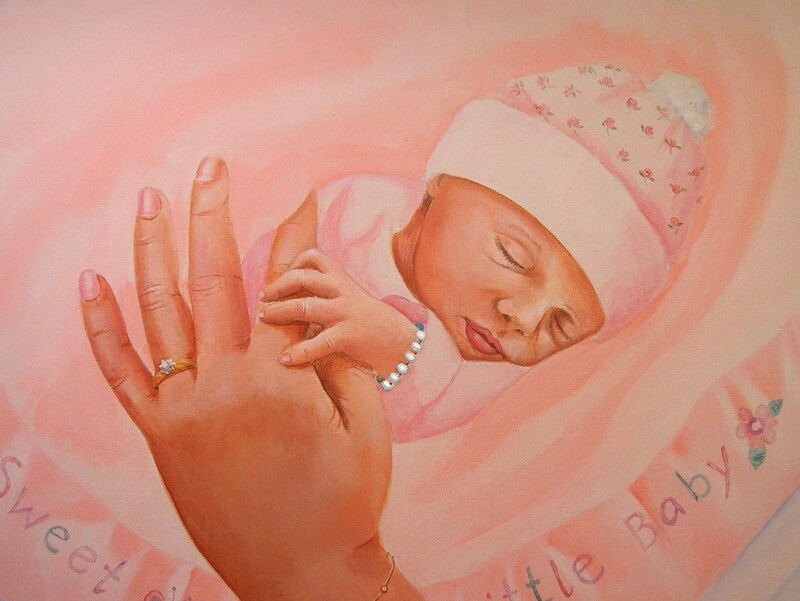 This painting commemorates the life of one tiny baby girl and it is my hope that it brings some peace and healing.. I have removed the name on the baby bracelet and some personal details to protect the privacy of the family. 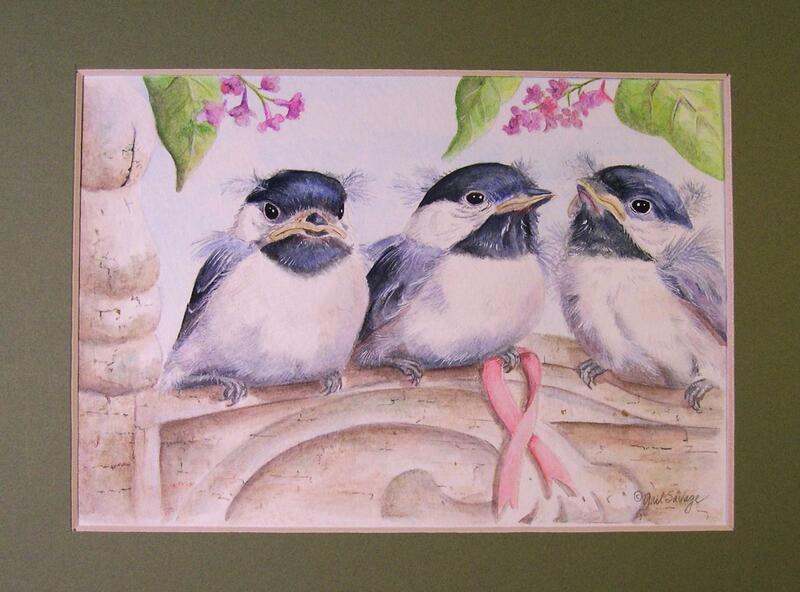 Similar paintings, framed, are $125. This painting is dedicated to the memory of William and was done for the compassionate nurse who cared for him in his last moments. She...and I...will never forget him. Watercolor, 11x14, framed, similar paintings priced at $125. This Angel was designed for a patient receiving cancer treatment. I included a doe to symbolize the protectiveness of mothers and the bluejay for its fearlessness and intelligence. I painted this as a thank you to a dedicated neurosurgeon who saved my grandson's life. Breast cancer awareness for a mother of three.